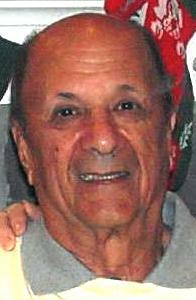 PETER MESSINA, age 82. Dearest father of John (wife Jacqueline, nee Guarino), Pete (wife Tina, nee Fiocco) and Anthony; devoted grandfather of Kristy, Mia Hall (husband William), Samantha, Dominic, Nicholas, Carly and Sarah; great-grandfather of Giana, Alexis and William; dear brother of Marietta Sidoti (husband Jim, deceased), Ebe Chamberlin (husband Eddie) and Joseph (deceased); dearest uncle to many. Funeral Service Saturday, October 18, 2014 at 6:30 p.m., Rev. Jim Jasper officiating, at THE VICCHIARELLI FUNERAL HOME, 5252 MAYFIELD RD., LYNDHURST (BETWEEN RICHMOND AND BRAINARD) where the family will receive friends SATURDAY FROM 2:00 P.M. UNTIL TIME OF SERVICE.